Question: Please write to step by step.. CAS4 cloning procedure.. (if possible) I have two cas4, ori and donor.. I need cloning.. 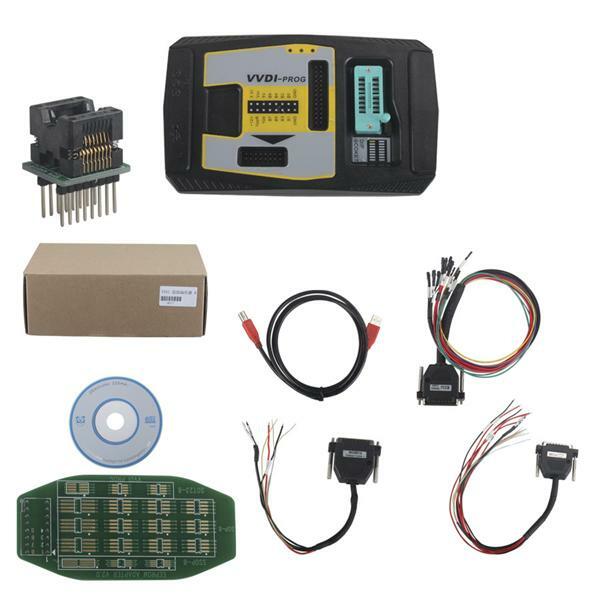 I have VVDI programmer.. Question: Is vvdi prog able to write flash in hc12dg128 mask 1k50e mpc ? Apparently xprog smok ak300-500 all failure to write flash in this processor ? Answer: yes,Xhore vvdi prog support write flash for 1k50e/0k50e.you should select the correct type unsecure or secured.by the way,if your chip is damaged means write flash will fail. about the second 512 area, the first 2 bytes will same as last ‘verify data’, then this area also auto calculate new 2 bytes to the next area. so if the write the new dump usually verify failed because of ‘verify data ‘changed. Question:Can vvdi prog erase the first two lines in M35080 M35160 (80D0WQ, 160D0wQ) ? Answer: we will add M35080 M35160,maybe within 2 months will support. Question: Someone are having issues to write into EEPROM Atmel 24C02 ? Im trying, VVDI Prog read perfect, but to write give me error. VVDI PROG try to erase and fail. I was reading and does eeproms have write protection, when is not connected to ground (gnd), if EEPROM are connected to VCC have write protect. So, there is some way to write into this eeprom? OBS: I have tried with many voltages.. from 3.0 to 5.0v and nothing. HEre a link from this eeprom datasheet..
operations when connected to ground (GND). Answer: did you try remove IC from the PCB then read by VVDI PROG? Question: Motorola HC12D60 1L28M not read, tested on AIRBAG VW62 1T0909605C and Dash Ford Mondeo MK3. Answer: please check the connection,if its secured type need to connect the CLK. Question: Problem is with reading and writing (eep and fls) Motorola mask 1L59W in Audi A6 C6 ELV J518 —>2010. The mask 3L40K reading and writing (eep and fls) without problem, any time. Problem is only with 1L59W mask. I read and write this mask finally but I tried few times. I tried on 4pcs. ELV and 2 PC and problem is the same. Please check it and correct. Answer: please ensure the cut off wires and connection all ok. Question: If they add HC805P18 with read and write i might be interested .. I made some work on finding the pinout on this MCU So here it is . Answer: HC805P18 is old type,maybe will not add.currently working on other types first. Question: Has anyone had any problems reading CAS 3 with 0L01Y mask. Is it safe to read with VVDI-Prog programmer. (Good News) Launch X431 V 8″ adds AU Ford Holden and Indian Malayan cars!